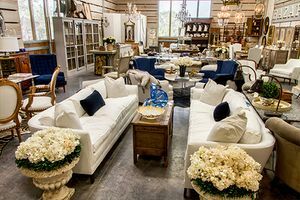 Houston, we have an answer to all the antique and interior markets around the state! DASH, Design. Arts. Style. Home. In the fabulous (and air-conditioned!) Silver Street Studios we can find anything from mid-century to French antique, to sleek minimalistic contemporary pieces. And it's not just furniture and home accessories, there are fabulous lines of jewelry and clothing too. The DASH Market starts April 26-29th, and we are counting down the days! 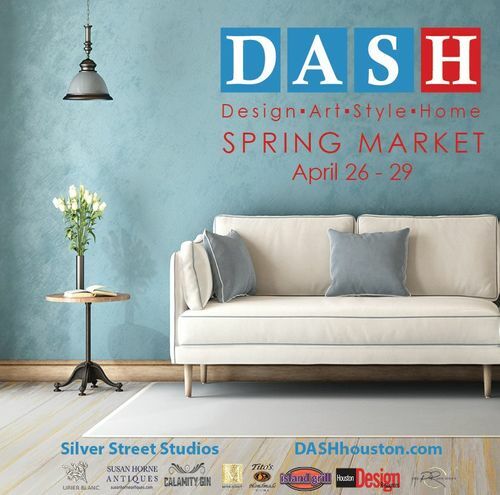 DASH Owners and creators Vanessa Sandukas, Michelle Maresh, Lisa Erwin, Angela Poujol have paved the way in Houston for a market-style show with things Texans need most: A/C, fun drinks, and beautiful pieces! DASH provides the same vendor fair as other markets, but with local flair and an easy, relaxing atmosphere in a cool Heights location. 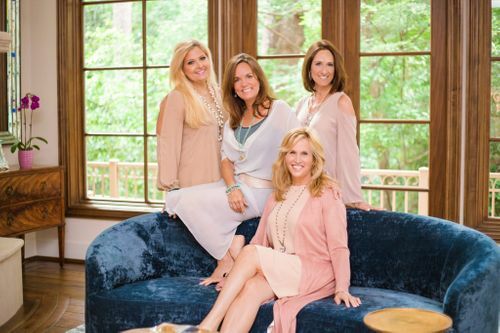 And who would expect anything less from these ladies who commonly grace the Houston’s Best Dressed List with backgrounds in design, finance, publishing. These ladies wanted to create a market for buried treasure here in our international city, rather than a drive away. 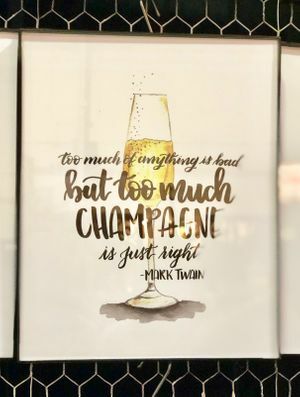 With our massive population, and a diverse one at that, DASH has cornered the market on fabulous finds for all types of buyers in design, art, style, and home. 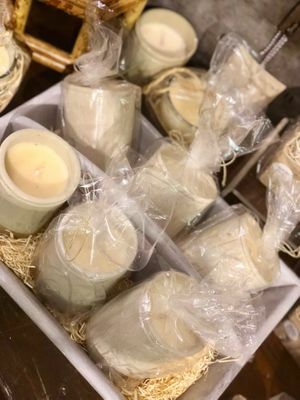 This weekend there are plenty of DIY tutorials, cooking lessons, and organization classes as well as the amazing vendors all in the heart of the city. 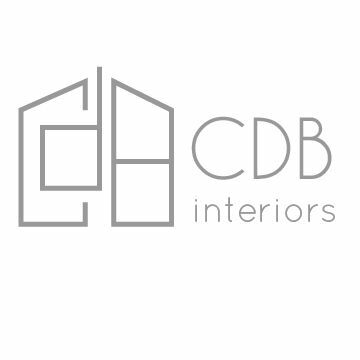 CDB Interiors ventured out for the ASID/CEU Designer Sneak Peek on Thursday night and loved what DASH Market 2018 has brought to Houston! Some of our favorite vendors include Splendor Collections, who specialized in fortuny fabrics and beautiful accessories from Italy. These creamy-dreamy carved fabrics bring sophistication and Italian charm to any home or to a wardrobe, as Splendor even carries belts and wallets! We loved the custom and personalized calligraphy from Be Sweet Ink Calligraphy and always enjoy the mid-century beverage glasses by Seeing Pink Elephants. 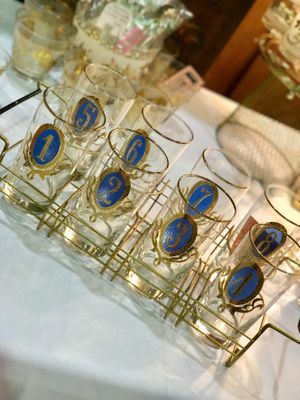 Cheryl found some vintage martini glasses from Lavender Road Antiques that look fabulous with the bar cart CDB Interiors invested in! 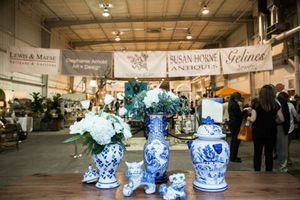 Of course we are happy to newcomers like Mackenzie Bailey Home and old friends like Susan Horne Antiques, who, by the way, is traveling to Great Britain this summer for new stock—we can’t wait!